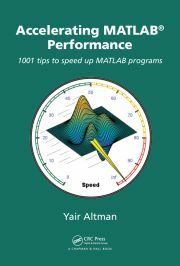 feature is an entirely undocumented and unsupported Matlab function, and unlike most other undocumented Matlab functions it actually does often change without prior notice between Matlab releases, so be very careful when using this function in your code. feature accepts two arguments: the name of the feature and an optional new value. This is similar to get/set functions: When only one argument is supplied, Matlab returns the current feature value (like get), otherwise the value is modified (like set). In some rare cases (feature(‘timing’)), a third input argument is sometimes expected. The system_dependent function is an unpublished function that we use for a variety of crufty things. It will most certainly change from time to time and possibly even go away completely. The system_dependent function performs different functionality on each of the platforms supported by MATLAB. feature(‘HGUsingMatlabClasses’) – see hgrc.m, subplot.m, title.m, xlabel.m, ylabel.m, zlabel.m, mesh.m, surf.m, colorbar.m etc. etc. feature(‘JavaFigures’) – see propedit.m; disabled since R2007a when native (non-Java) Matlab figures were disabled. feature(‘IsDebug’) – see here; controls Matlab assertions. feature(‘accel’,’on/off’) – see here and here. There is also a related feature(‘JIT’,’on/off’) which appears to control a subset of feature(‘accel’). feature(‘GetPid’) – returns the Matlab process ID (well, actually the PID of its JVM but that’s the same PID as Matlab’s). Also see the similar java.lang.management.ManagementFactory.getRuntimeMXBean.getName.char. This latter function returns the PID mangled with the computer name (for example: ‘1234@My-desktop’). feature(‘MemStats’), feature(‘DumpMem’), feature(‘ProcessMem’) – these are memory reports that are even recommended by official MathWorks tech notes (1,2), newsletter and technical solutions (1,2). Numerous references to these features can be found online. feature(‘COM_SafeArraySingleDim’) – explained here and here. feature(‘DirChangeHandleWarn’) – accepts ‘always’, ‘once’, ‘never’ or ‘status’. Mentioned in an official Matlab technical solution and also in changeNotificationAdvanced.m. feature(‘DirReloadMsg’) – accepts ‘on’, ‘off’ or ‘status’. See changeNotificationAdvanced.m and here. feature(‘RemoteCWDPolicy’) – accepts ‘Reload’, ‘TimecheckDir’, ‘TimecheckDirFile’, ‘TimecheckFile, ‘None’ or ‘status’. See changeNotification.m and here. feature(‘RemotePathPolicy’) – accepts ‘Reload’, ‘TimecheckDir’, ‘TimecheckDirFile’, ‘TimecheckFile, ‘None’ or ‘status’. See changeNotification.m, here and this official technical solution. feature(‘GetPref’,prefName) – returns the system preference value for the requested preference name in the global prefs file ([prefdir,’/matlab.prf’]) that is explained here. system_dependent(‘miedit’,filename) – referenced here, here and in edit.m. See matlabrc.m. system_dependent(4,…) – See cedit.m, arrayviewfunc.m, dbmex.m, mexdebug.m. In addition to 4, I have seen references to features #2, 7-14, 44, 45, 1000-1003.
system_dependent(12,flag) – See %matlabroot%\notebook\pc\M-BOOK.DOT macro InitFromSavedSettings. ??? Simulink engine interface is not enabled. Thanks a lot for the “EngineInterface” feature. But in my case I had to set its value to 1001 to get it working. I tested this with Matlab versions R2010b-R2014a. Hi Yair, I found out additional features in R2008b. Meanings of features are obvious from names of features in case of features with capital letters. The rest of features i have no idea what it does. Hopefully, it helps you improve these pages. Thanks for the hard work as well. 1. Turn off the JIT in the offending program file using the command “feature scopedAccelEnablement off”. 2. Turn off the jitting of structures using the command “feature jitallow structs off”. What’s more, I found that feature(‘IsDebugMode’) will always get false result when you run it in you m code, but in debug command, you can get true. why? You could also add: system_dependent(7) which toggles command window text buffering. It can help if you output very large strings. Btw, is there a way to query the current state? Or set it to on/off (not just toggle)? I.e. I don’t want to toggle it on and off – I just want to turn that off once. @Alexander – I don’t think you can query or set the state of this specific feature. In other features you can, but not here. In this mode, java seems to do the text rendering wihout relying on Xservers capabilities. Tested in R2014a and R2013a. Is it me, is it Linux, or has this gone (in 2015a)? Thanks for kind useful information. It seems that feature(‘OpenGLLoadStatus’) has been dropped. It’s still available in R2014b but not in R2015b (Linux versions). Do you know if it’s still available in R2015a? @Kristian – yes, feature('OpenGLLoadStatus') works in R2015a. It would be interesting to know how you are using this feature – can you tell us? I am using it to assert that OpenGL is available upon starting up a GUI that I am developing. The GUI requires OpenGL in order to work as expected. system_dep​endent(‘se​tround’,In​f) is still working on R2017a? Anyone has noticed something different? In previous version, I didn’t find any problem. to turn on passing SAFEARRAY by reference to COM objects. , which makes SAFEARRAYs that are exported to COM objects 1-dimensional, rather than 2D (which is Matlab’s default). See discussion in Matlab Answers #94833. Arash Marashian (12 days 4 hours ago): Problem Solved. I found out that my version does not have this icon. thanks. Marshall (13 days 7 hours ago): This was a fun puzzle–don’t hesitate to add more posts like these if you come across some other fun ones! Reza (13 days 13 hours ago): I have the same problem. this Java widget got error in compiling via Matlab 2018! Could you please show me how to solve this? GGa (15 days 7 hours ago): There isn’t anything “outside the UTF-8 range”. UTF-8 can represent any Unicode character, as far as I know.